As we grow older, illness, injury, pain, and bodily impairments are inevitable. But you have a choice as to where services are provided and the level of quality of treatment and services you receive. When you or your loved ones experience any health discomforts, know that American Premier Home Health Care offers you exceptional home health care and services in the comfort of your own home. Excellent health care services, like those you have come to expect at hospitals, senior care institutions, and other medical facilities are also available to you right in your own home, and are only a phone call away. 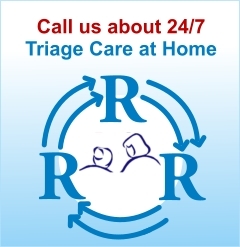 We offer a wide range of home health care services such as Skilled Nursing, Physical Therapy, Occupational Therapy, Speech Therapy, Home Health Aide, Home Infusion Therapy and Medical Social Services.With us, you have just about everything you need. 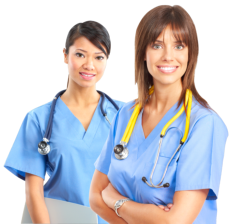 So if you, or someone you know, suffers from a chronic illness, or has just been released from the hospital, are injured, have joint or muscle problems, or in need of Skilled Nursing Services, Physical Therapy, Social Services, Speech or Occupational Therapy, contact us immediately at 602-287-0003 to get the highest quality health care services in the most convenient and cost efficient way. Show your loved ones that you care by requesting the best home health care agency around, American Premier Home Health Care.